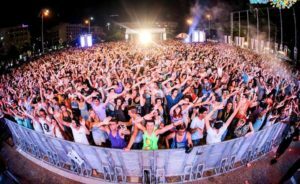 There are many cool events happening in Tel-Aviv during the year, but the “White Night” (Laila Lavan), is definitely one of the more special ones. On the 29th of June, the city will put on its festive face (even more than usual), and things are going to get wild. Shops are going to be open all night long and offer special deals, museums are going to be open and free of charge, the streets are going to be packed with live musicians and dance shows and of course, some of the best parties of the year are the ones on “White Night”. Here is a list of some recommended ones. 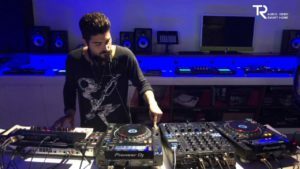 One of the most beautiful bars in Tel-Aviv, the Tailor Made, is celebrating it’s 6 year anniversary host with celebrity DJ Oshri Cohen and friends, along with a special summer drink menu. One of the best electronic music clubs in Tel-Aviv is going “all in” this year with a crazy lineup of DJ’s. Along with the internationally acclaimed due “Red Axes” the lineup includes local legend Uriah Klepter and a few more formidable names that will play untill the sun is long shining. 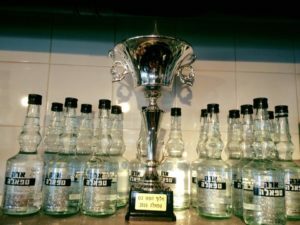 Like every year, TLVnights pub crawl brings locals and tourists from around the world for a memorable experience. The night starts with a rooftop party in Hayarkon 48 hostel and continues to 3 more White Night parties. The annual earphone party in Rabin Square is always a fun event and this year it promises to be even better with a great lineup of DJ’s. The party starts at 20:00 and will be broadcasted live on 102FM radio station. You can bring your own setvof earphones or rent a pair on the spot. The Tepale is one of the happiest bars in Tel-Aviv and boosts a great Middle- Eastern vibe. With authentic local music and special drinks, you are bound to have an awesome local experience. For White Night, the Tepale is going to change into a Greek Tavern with a live Bouzouki player and a lot of plate braking. 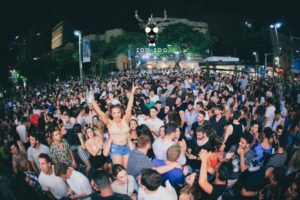 Whenever there is a special celebration in Tel-Aviv, the Zoozoo is the place to be in. With great view to Rothschild Blvd you can party with dozens of other party people in a crazy street party or dance on the bar inside. 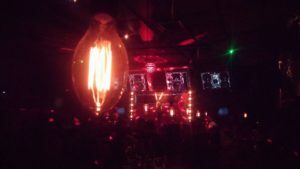 why tlv nights pub crawl? Our pub crawl will take you to the most local, hidden bars and clubs in Tel Aviv. 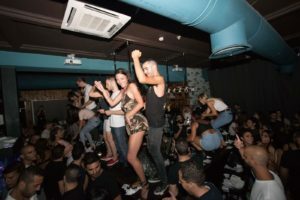 Our goal is to make sure you experience the dynamic and diverse nightlife in Tel Aviv, and know it isn’t easy to discover so much in so little time! 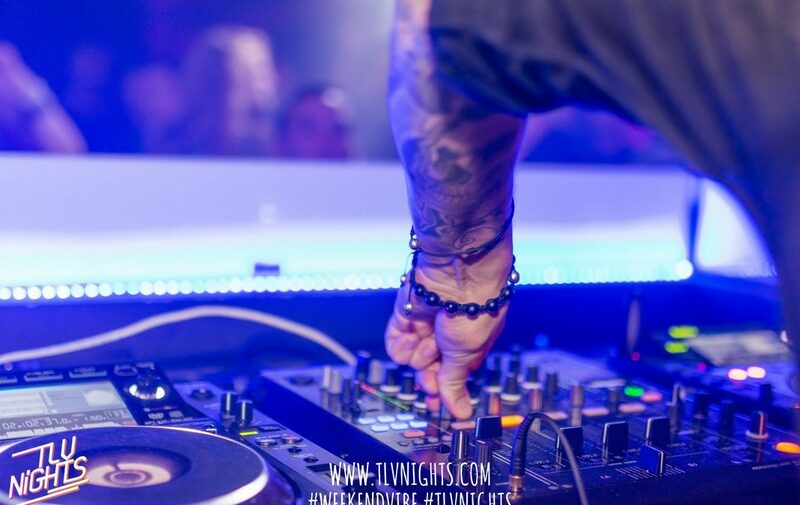 At TLV Nights, we take the responsibility off your shoulders and make the night scene as fun, exciting and accessible to you as possible! On our special tours and pub-crawls, we will take you to the best of everything – from the trendiest, most exclusive hotspots to the freshest underground joints. So let us upgrade your stay in Israel and take you out for a night you will not forget!